London (United Kingdom) – May 14, 2018 (travelindex) – Rocco Forte Hotels moves from dotPOS to xnPOS, both from Xn protel Systems, to exploit the benefits of the latest POS technologies. Providing greater functionality, flexibility, scalability, security and the performance needed for its growing business. 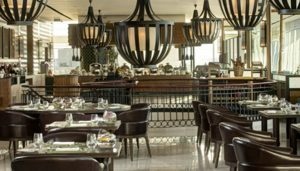 Global hospitality management software company Xn protel Systems proudly announced today that its long-standing POS customer, Rocco Forte Hotels, is moving to its full-service, cloud-hosted, xnPOS Point of Sale solution, after many years of using Xn’s dotPOS system. The first implementation of xnPOS was at Hotel Amigo, a Rocco Forte Hotel in Brussels, Belgium. Since then it has been implemented in further Rocco Forte Hotels, with the remaining properties planned for 2018. This further formalizes and extends the partnership between Rocco Forte Hotels and Xn protel, to include next generation POS solutions that deliver better performance, more stability, functionality and flexibility for Rocco Forte Hotels’ growing business operations. Rocco Forte Hotels was established in 1996 by Sir Rocco Forte and sister, Olga Polizzi. With award-winning landmark hotels across Europe such as the Hotel de Russie, Rome, Brown’s Hotel, London, Charles Hotel, Munich and one in Saudi Arabia, Assila Hotel, Jeddah, each of the 11 hotels exude the Forte philosophy: open, intuitive service; elegant design that speaks to its location; and exceptional offerings in food, drink, spas and experiences. Toby Herbert, Group IT Director, Rocco Forte Hotels said: “Rocco Forte Hotels is a collection of very high-profile hotels, each one being very individual and unique, which had their own specific requirements for xnPOS. The strong working partnership we have with the Xn team enabled us to fine-tune the implementation to each hotel’s needs.